Dr Chris Hope, Reader in Policy Modelling at Cambridge Judge considers some of the less obvious ways the Paris climate agreement could change your life, including extra pay in your bank account, lower payroll taxes and lower costs of eating out. It should be a momentous occasion for the environment. In early October 2016, 55 countries with 55 per cent of the world’s greenhouse gas emissions ratified the Paris climate change agreement. On 4 November, it came into force. The main long-term goal is to keep the increase in global average temperature to well below 2°C above pre-industrial levels. But what does meeting the Paris aims look like in the short-term, within our lifetimes? The most obvious point is that it requires countries to rapidly reduce their emissions. It’s not clear by precisely how much, or precisely when, this needs to happen – we just don’t know enough about the climate sensitivity for that. 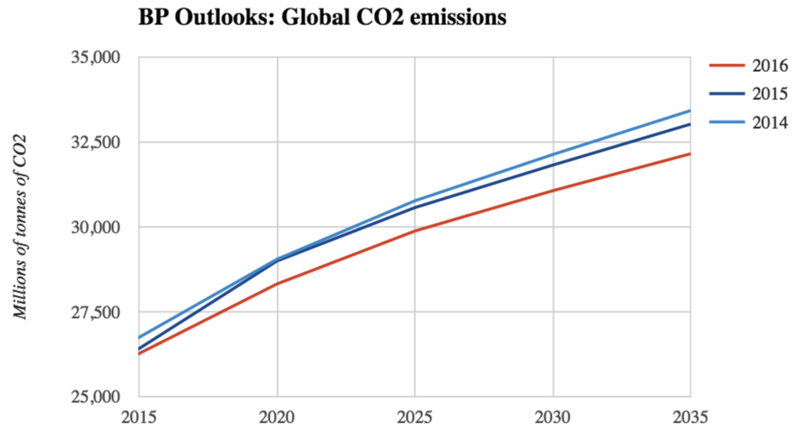 But it is clear that to have a fighting chance of meeting the Paris target will require large and sustained emissions reductions, starting very, very soon. So the world says warming of two degrees is unacceptable. But people aren’t acting like it is. Something big is missing: a massive effort to cut emissions. If countries truly are going to meet the Paris goals, this has to change. This effort could come in the form of lots of centralised regulations, and subsidies for low-carbon energy sources. But many experts think strong, comprehensive prices on CO2 and other greenhouse gas emissions will be considerably cheaper. To get the emission reductions needed, which could be three per cent to five per cent per year for more than 50 years, we need these prices in the form of strong, comprehensive taxes on greenhouse gases, paid by firms, farms and final consumers. And we need them now. It’s fair to ask what such taxes would do to energy prices. At $150 per tonne of CO2, they would add 25 per cent to petrol prices in the UK, 30 per cent to the price of gas-fired electricity, 50 per cent to gas prices, 75 per cent to the price of coal-fired electricity. They would probably add nearly £100 to the price of a return air ticket from London to southern Europe (and just think what that does to the case for a third runway at Heathrow). Climate taxes also have an upside. At $150 per tonne of CO2, they would bring in about £75 billion per year in tax revenue in the UK from year one – that’s about 15 per cent of all UK tax revenue. If the government chooses, it could use this revenue to reduce VAT by two thirds, once out of the EU, making almost all products at least 10 per cent cheaper at a stroke. Or it could reduce the basic rate of income tax from 20 per cent down to five per cent. Or, most likely, it could do some sensible combination, reducing income, sales and payroll taxes, while using a small part of the revenue for information campaigns, basic R&D, and measures to avoid hardship, such as the winter fuel allowance for pensioners. There is some evidence that directing about 10 per cent of the climate tax revenue towards the poorest two deciles would stop it being regressive. Given the Paris targets will require people to live much cleaner lives anyway, these seem like pretty good side-effects. The alternative is to say that cutting emissions as far as this is just too much trouble. In which case we need to be prepared for a radically different world with temperatures rising by 4-6°C or more. That would see ice sheets melt, sea levels rise, new deserts form, and many tropical locations become essentially uninhabitable. The Conversation: How will the Paris climate agreement change your day-to-day life?